Foundation is the base of any makeup and hence choosing the right one is essential to look gorgeous. The market is flooded with different foundation brands for different skin types. They are present to provide just the right amount of glow you require for any occasion. MAC Studio Sculpt unlike other foundation products prevents your face from looking patchy post application. Since it provides a soft touch, you can always consider reapplying in case something goes wrong. Bourjois Healthy Mix Foundation is a highly raved product with high coverage and semi matte finish touch on the skin. It is suitable for all skin types. Make Up Artist For Ever HD is a brand trusted mostly by celebrities. This makeup supplement gives you a flawless touch so that your photographs look wonderful and natural. Revlon Colorstay is mostly suited for Indian skin, plus it is quite affordable too. The foundation gives a natural tint and makes your skin glow. L’Oreal Paris Infallible Lasting Perfecting Foundation mostly pampers models and celebrity artists. 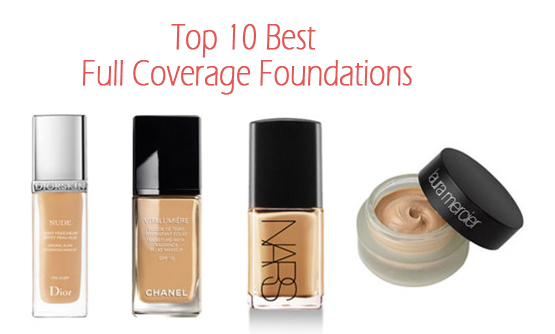 The foundation gives the right coverage and most fondly do not clog pores. Estee Lauder’s Double Wear is best for sensitive skin with flawless finish. The foundation does not at all look heavy giving you a natural look to suit any occasion. Max Factor Face Finity Powder Compact / Foundation are most ideal for concealing and covering. It is used with a wet sponge that adds superb beauty to your look. Lakme Absolute White Intense Skin Cover has a touch of sunscreen and hence ideal for daily use in the sun. It too does not cause break out and keep the effect intact for long hours. Clinique Superfit Makeup acts superfine on sensitive skin and prevent breakout. It is a fantastic companion for both formal official party and informal marriage blast. Lancome Teint Miracle Foundation is one of the highly rated high coverage foundations in the market offering a flawless finish. It acts as skin lightning agent too.